Over 35,500 sq.ft. 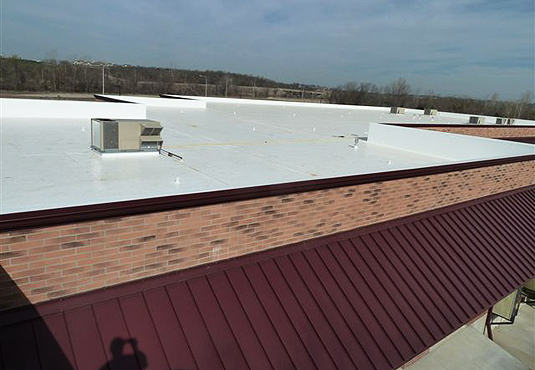 of Duro-Last 10 ft. tab system was installed on this metal retrofit building. 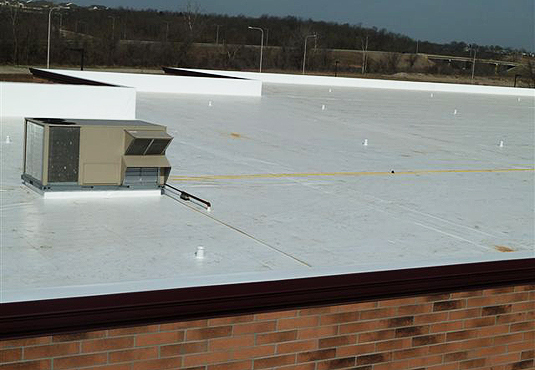 Once the company determined that Duro-Last fit all of the needs for their project the owners met with their sales rep, from Commercial Roofing Services, Blue Springs, Missouri and Allen Consulting Group, Muscatine, Iowa, to achieve the most favorable outcome. 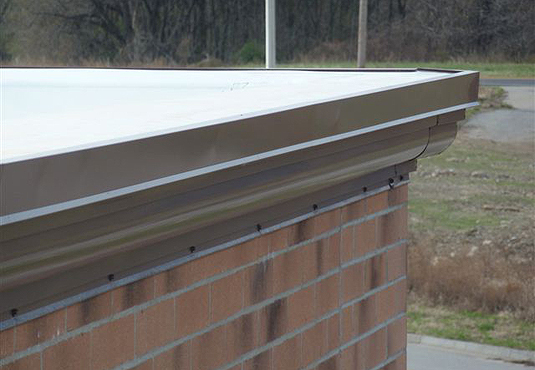 New built-in gutters were custom fabricated inside the back wall using Duro-Last rigid coated metal. Burgundy colored compression metal was used to match the existing color trim. Over 35,500 sq.ft. of Duro-Last 10 ft. tab system was installed. 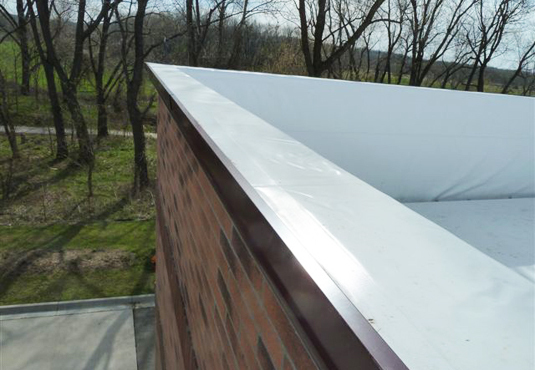 All parapet walls were encapsulated and finished with Exceptional Metal’s two piece compression detail. The two-piece compression metal was done in burgundy to match the existing color.